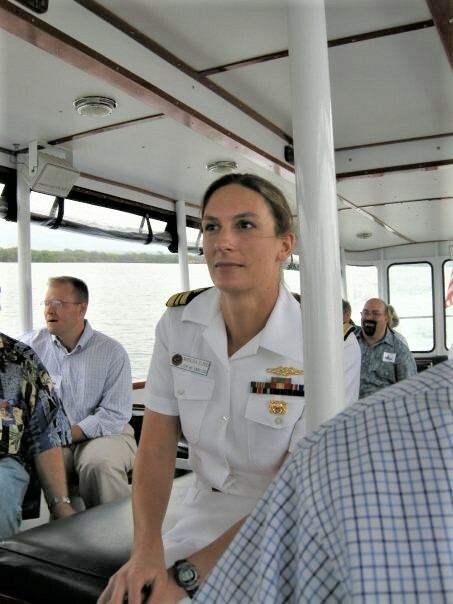 In honor of Veteran’s day, November 11th, I sought out a Veteran that is still serving our nation; she is Commander Marilisa G. Elrod, Medical Corps (Undersea Medical Officer) United States Navy, the Associate Director for Professional Education at Naval Medical Center Portsmouth in Portsmouth, Virginia. In doing my research for the Valley Patriot story on Navy Senior Chief Douglas Bryant, and studying the history of US Navy submarines, I learned about this amazing Navy Officer. So, I’m going to ask her to tell her story to directly to you. Commander Elrod is writing in the first person and hopefully the young people of the Merrimack Valley will be inspired by what she accomplished, and without student loans! Commander Elrod: I am telling my story for you along with the assistance of John Cuddy to share with you my experience of exposure to amazing opportunities and the sense of belonging and purpose that came with joining the military. I know that when I was 17 and contemplating applying to the Naval Academy, I had no idea I was about to embark on a career filled with adventure… and many, many years of education completely supported through the Navy. Now, of course, I did not pay tuition, but I was required to serve years on active duty in return. Seen another way, when I finished my schooling, there was a guaranteed job waiting for me. My mother’s father had been a pilot in the Navy in World War II and Korea. He was my idol and one of my best friends. When I was 16 years old, he tried to convince my older brother to apply to the United States Naval Academy in Annapolis, Maryland, a place he wished he could have attended. My brother was not interested. To please my grandfather, I attended a summer seminar at the academy following my junior year of high school. I was a good athlete in high school, earning a total of 13 varsity letters in four different sports. During the summer program, I met the track and field coaches, who began recruiting me. I was also a National Merit finalist and I had been planning to apply to an Ivy League school, but I come from a middle class family and did not want to burden myself or my family with student loans. The Naval Academy has top notch academics and a reputation to rival the Ivies. And I could keep running. I was sold. At age 17, I found myself a plebe at the US Naval Academy. I had planned to be a Navy pilot like my grandfather, but quickly discovered that the pull towards medicine was stronger. I decided to compete for one of the 10 spots a year from the class of about 1000 that would allow me to attend medical school. This was a difficult path to choose as the selection is based on class rank, and there are many, many brilliant students at the Naval Academy. Additionally, I was competing in varsity athletics at the NCAA Division I level which consumed hours daily. With hard work and the support of my fantastic professors and coaches, I graduated in the top 10 of my class. I did well enough to be invited to apply for graduate scholarships to study in the United Kingdom. I was selected for the British Marshall Scholarship to attend Trinity College, Cambridge University for two years. The Marshall Scholarship is a program through the British Embassy which selects up to forty young Americans (usually civilians) of high ability to pursue graduate degrees at the British university of their choosing in order to foster cooperation and support the special relationship between our nations. They were excellent hosts and I had the opportunity to meet many dignitaries and even engaged in a conversation with the former Prime Minister, Margaret Thatcher, about how her mother baked bread on Sundays. The Navy next granted my request to enter a combined MD-PhD program at The Ohio State University College of Medicine and Graduate School in return for more years of obligated service. One of my favorite parts of being a medical student at OSU was watching the new fathers show their tiny swaddled infants the OSU football stadium through the windows of the maternity ward, “Look, someday I’ll take you to a game there…”. I completed my PhD in biostatistics and my medical degree. Following graduation as a doctor, I returned to active service as an intern in Pediatrics in Bethesda, Maryland. In the Navy, after internship, it is expected that you serve the fleet. I decided that I would become an Undersea Medical Officer (UMO), a doctor for divers and submariners. To become a UMO, one must pass Navy Dive School in Panama City, Florida as part of the 6 months of specialized training. Luckily, my brother is much bigger than me and frequently tried to drown me (for fun) when we were kids. This helped me during “pool week”, as there was nothing the “sharks” could do that I had not experienced before. Upon graduation, I was sent to Pearl Harbor, Hawaii to the Naval Submarine Support Command. My job as the medical department head was to run the waterfront clinic and supervise the 21 Independent Duty Corpsmen on the 18 Los Angeles Class submarines stationed there at the time. Part of my job was to audit the records and programs prior to deployments. This was best accomplished during short underway periods of 3-7 days. The XOs of the submarines were gracious enough to allow me to crash in their staterooms, as this was prior to the time that women were permitted to serve as permanent crew members. I have great affection for the submarine force and am grateful for the acceptance and respect that the ward rooms and crews of the boats showed me. I learned to play cribbage and how to run on a treadmill in the engine room while the boat was changing depth (it is a good thing there are handles on those things!). I also always had the support of my Commanding Officer, CAPT William Stevenson. Over time, I completed the requirements including ride time to become an Undersea Medical Officer Qualified in Submarines. I sat my board on the USS Key West during a transit from Hawaii to Washington. I was awarded the coveted dolphins in 2008, becoming one of the first women to earn submarine qualifications in the US Navy… but wonderfully, I am now in good company! I finished my tour as an undersea medical officer and returned to pediatrics (there are actually many similarities). I completed my residency in pediatrics at Naval Medical Center San Diego, California and a three-year fellowship in Developmental-Behavioral Pediatrics at Madigan Army Medical Center in Tacoma, WA. During fellowship, I became interested in Autism Spectrum Disorders (ASD). Autism Spectrum Disorders are mysterious in their origin and have been increasing in prevalence to an estimate now of 1 in 59 children in the United States. Sleep disorders are frequent comorbidities of ASD. This association has become the focus of my research. I also study the care of military children with ASD and other special needs. My work has focused on access to covered behavioral treatments for military-connected children with ASD, and the effect of moving homes and schools on children with ASD. 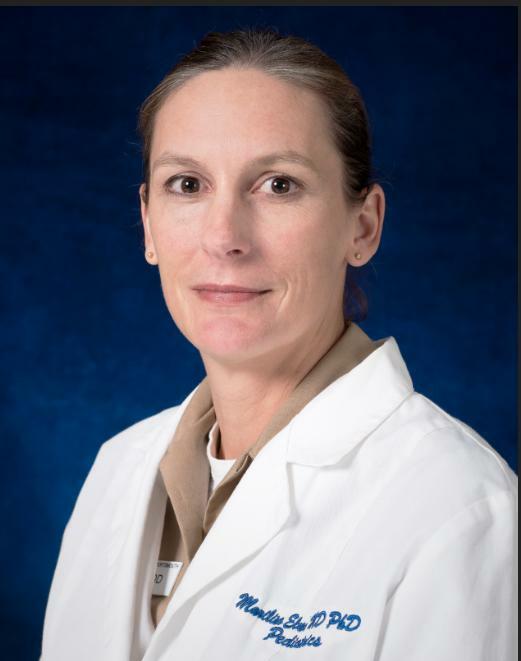 I transferred to Naval Medical Center Portsmouth (NMCP) in Portsmouth, VA in 2015 where I became the division head of Neurodevelopmental Pediatrics and also covered developmental services at Naval bases in Europe, traveling to Rota, Spain, Sigonella, Italy, and Naples, Italy. I love the children that I care for and take great joy in celebrating their accomplishments and abilities. I was recently selected as the Associate Director for Professional Education at NMCP. Along with the director, we lead 7 departments including the Graduate Medical Education Department which includes 13 residency programs and the Clinical Investigation Department. I am nearing retirement eligibility, but plan to see where this new journey will take me. With the support of my husband and children, I am excited for continued adventures.